Fundraiser for Karl Reese by Elliott Neff : Send the Queen of Katwe to College! Send the Queen of Katwe to College! 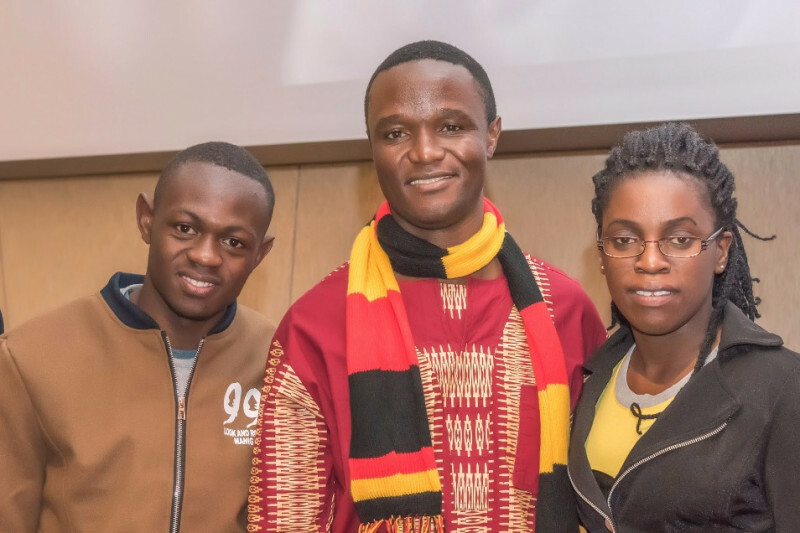 Phiona Mutesi and Benjamin Mukumbya, whose lives are portrayed in Disney’s movie Queen of Katwe, grew up in the slums of Katwe in Uganda and are now poised to begin the next adventure of their lives- attending university! 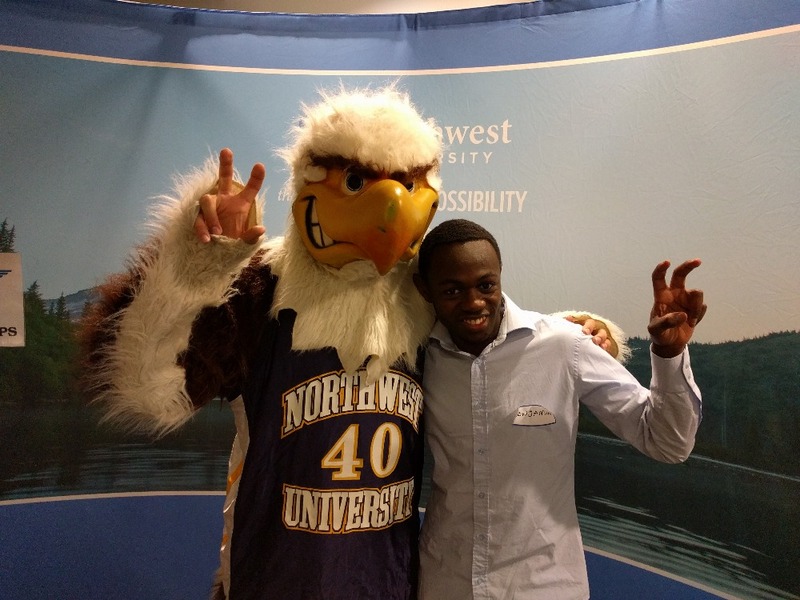 Phiona & Benjamin have been given full tuition scholarships to Northwest University near Seattle, WA. However, they lack the funds needed for room, board, travel, and living expenses. Would you be willing to donate in order to make this opportunity a reality? You may have watched the movie in theater, on an airline flight or on DVD. The suspenseful, accurate, and often humorous chess narrative combined with the heart-warming, real-life story make it well worth your time. From living on the streets, to becoming champion in Uganda, then representing her country at the World Olympiad, and on to the red carpet of Hollywood, Phiona’s story is inspiring millions to never give up, to pursue dreams regardless of obstacles, to persevere -- as there is the seed of a champion in every person. 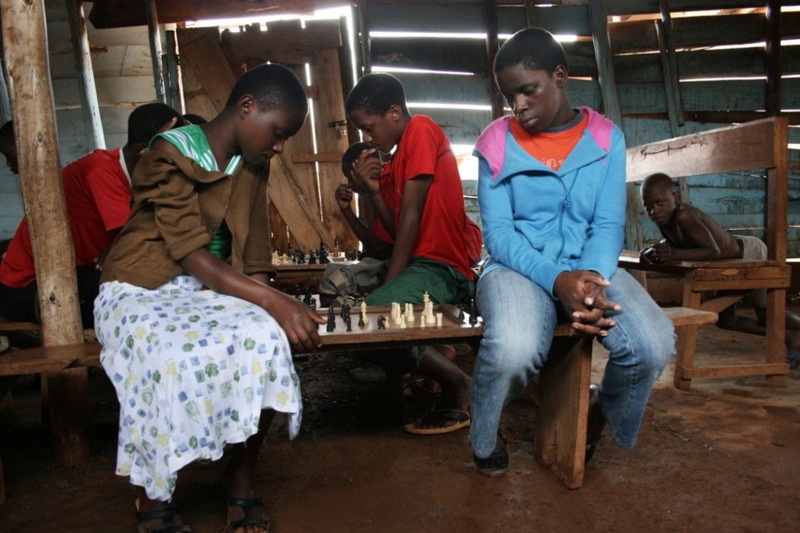 I heard of the book Queen of Katwe in 2013, before the Disney movie was even started, and helped support the Queen of Katwe project by hosting a tournament fundraiser at Chess4Life in Bellevue, WA. 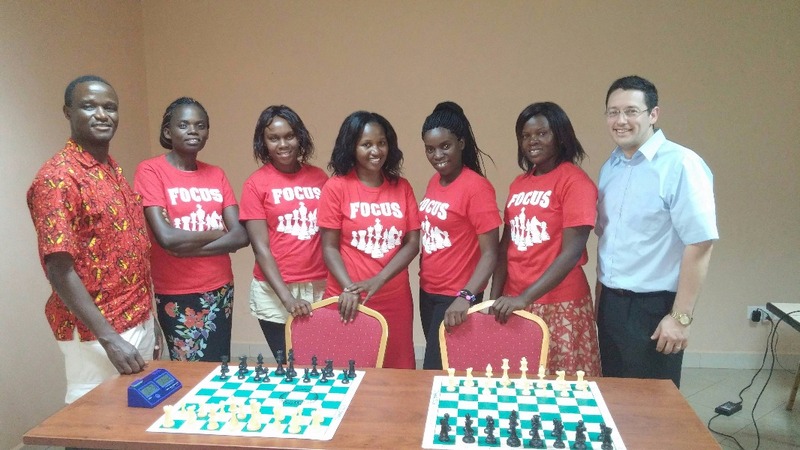 The friendship continued, and in August 2016, I had the opportunity and traveled to Uganda to help Phiona again as well as the Ugandan Women's Olympiad chess team prepare for the World Chess Olympiad 2016. While there, I experienced first hand the reality of what life is like in the slums of Katwe where the story began. I also met Benjamin Mukumbya, which led to the idea of Benjamin coming to Chess4Life to help him develop his chess talent. Now in June 2017, their story continues. 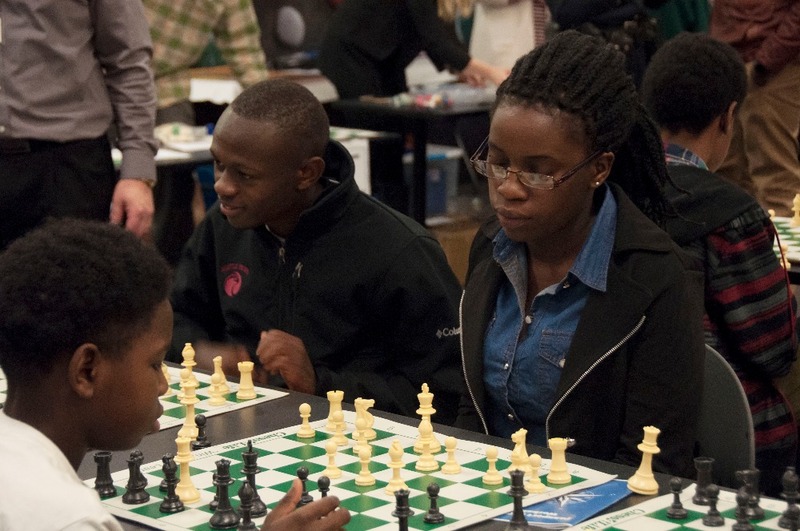 More than characters in a movie, Phiona Mutesi , fellow chess academy student Benjamin Mukumbya, and their coach Robert Katende are real people living life on a mission. Phiona Mutesi, twenty, recently graduated high school in Uganda, no small feat for a young girl who was accustomed to searching for food. She lacked all resources for a basic education! Now that chess has changed her life beyond her own belief and imagination, her dream continues to grow. While Phiona still wants to achieve her dream of becoming a chess grandmaster, she aspires to receive an education in social work which will help her impact her own community and beyond to those in similar circumstances worldwide, inspiring many other “Phiona stories”. Benjamin Mukumbya, eighteen, is portrayed as the young boy in Queen of Katwe who was part of the chess club and has been part of Robert Katende’s home along with Phiona for a number of years. Benjamin is a talented, aspiring chess player, who attended school with Phiona for several years and graduated high school at the same time as Phiona. With the movie launch, Benjamin is a young man with a growing sphere of influence, and one with a big dream. 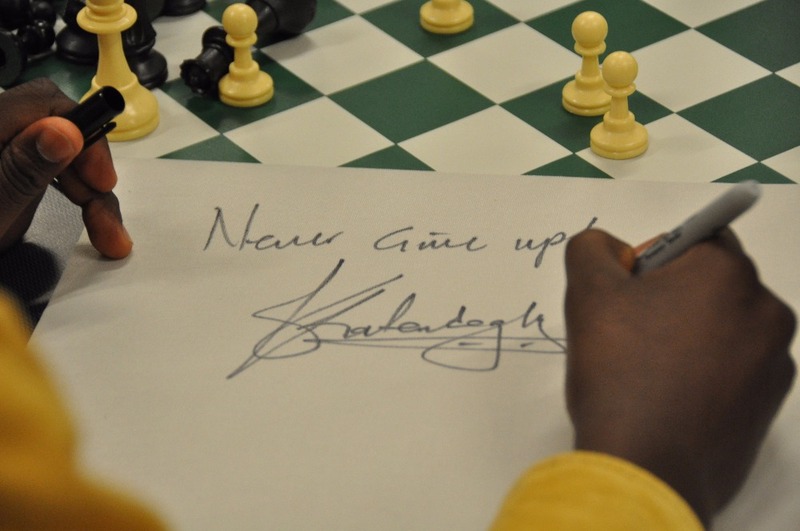 Besides aspiring to become the first chess grandmaster from Uganda, he has a dream of becoming a neuro-surgeon in order to bring these skills to help his community and beyond as there are many in Africa dying of brain tumors and other conditions that could be helped by neuro-surgeons. However, this is a specialized skill that requires study abroad. 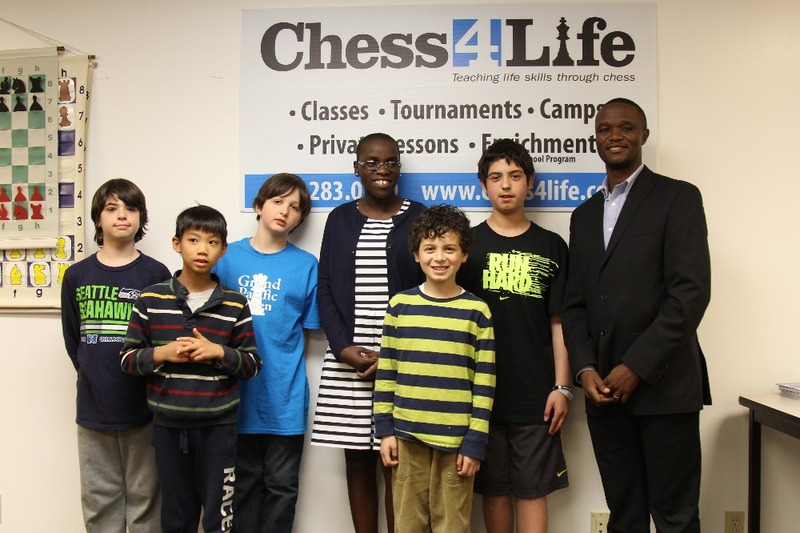 In January of 2017, Chess4Life hosted Robert, Phiona, and Benjamin for a visit to Seattle, WA for some special appearances and events, including an interview on King5’s New Day Northwest show. While in the area, they also toured a couple universities, and were very grateful to receive full-tuition scholarships! 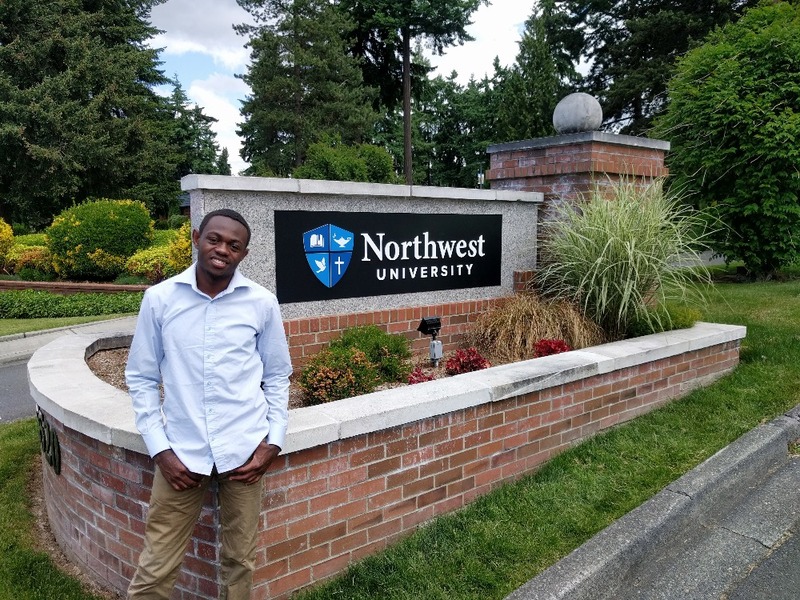 Both Phiona and Benjamin have decided to attend Northwest University in Kirkland, WA.They were warmly welcomed by the NU faculty and students and were especially excited about Northwest University’s desire to help students grow into all that God intends—academically, spiritually, and in their careers. While tuition has now been fully covered, they do not have the means to pay for their room and board. They are hoping to attend classes beginning the fall of 2017, yet must find the support if they are to do so. The amount they need to raise for their fall semester is $9,000 each. 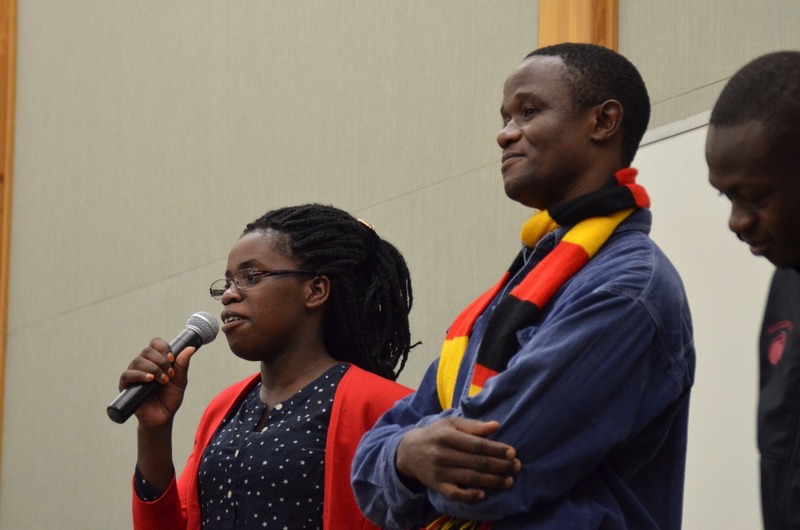 This will pay for their dorm rooms, meal plan, a flight to and from Uganda, textbooks, fees, and additional living expenses associated with studying abroad. The goal of this GoFundMe campaign is to raise enough to cover fall semester for both Phiona and Benjamin, which will then be followed up with other fundraising events this fall to cover the remainder of the expenses for their 4 years of education. We are spreading the word in order to find generous donors to step forward and become a hero in Phiona and Benjamin's lives. This will make a local as well as global positive community impact as Phiona & Benjamin strive to inspire many more “Phiona stories”. Would you or someone you know have the financial resources to help make this possible? The funds will go directly to the Robert Katende Initiative which allocates these funds to the living expenses of Phiona & Benjamin to attend NWU. Because the amount donated is going through the Robert Katende Initiative, your donations will be tax deductible! Phiona and Benjamin may have some limited availability for in-person appearances. Contact me (as the fundraising campaign manager) by clicking the envelope icon next to my name if you would like to explore the possibilities or have other questions. Because they know what it's like to struggle for survival, Phiona and Benjamin are exceedingly grateful for your support of any amount. Thank you for your part in giving them the opportunity now in their life to move from existence to impact. Phiona, Benjamin, and I are absolutely amazed by the generosity that each of you have poured out over the past six months. Through your monetary gifts, their first year living expenses at Northwest University have been fully taken care of. The peace of mind this gives Phiona & Benjamin enables them to focus on their studies. We are excited to announce that additional funding has been promised to cover Phiona & Benjamin's room & board for the remainder of their time at Northwest University. They continue to appreciate the generosity of donors which will cover their flights, textbooks, and other living expenses. Phiona & Benjamin are thriving during their time at Northwest. They continue to share their unfolding story to a broad audience: children in classrooms, executives at networking events, reporters from local papers. They look forward to spending this summer in Uganda and returning to Northwest University in fall, thanks in no small part to the kindness of each of you. Phiona & Benjamin have settled in at NU and are making good progress - they are now part of a newly formed chess club and team that Benjamin has spearheaded, with Phiona the president of the club. They both plan to play on the team and the university is supporting plans to not only form the team but also compete in the 2017 Pan-Am Collegiate Team Championships Dec 26-30! Two special events are coming up as efforts continue to complete raising the funds necessary to finish this first year of university! Please consider sharing this to anyone you know in the greater Seattle community. Come join us for a special opportunity to meet Phiona & Benjamin, participate in a simul chess challenge featuring Phiona Mutesi in a tandem simul with Naomi Bashkansky who recently earned her International Master title and has already won the world championships for her age group, plus Benjamin, Mukumbya teamed up with local young chess master Noah Fields. The event is intended to raise funds for their living expenses at Northwest University. You can view event details at this link: https://www.eventbrite.com/e/national-chess-day-fall-festival-tickets-38133376957. 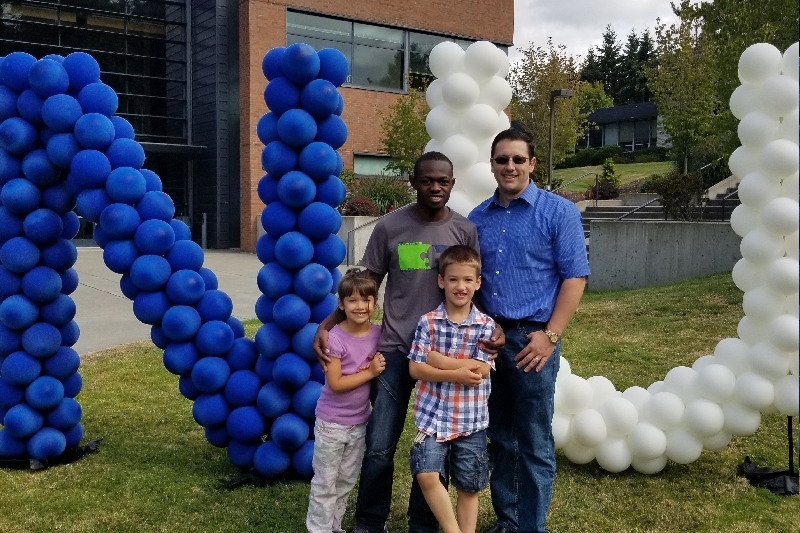 You are invited to come and meet Robert Katende and Phiona Mutesi, as well as participate in multiple fun activities from chess challenges, pictures and photo booth with Disney Princesses, taking on special guest and Washington State Chess Champion Roland Feng in chess simuls, speed chess, and more! This event is intended to be a fundraiser part of the Microsoft Giving Campaign to support the Robert Katende Initiative. You can view event details at this link: https://www.eventbrite.com/e/microsoft-employees-meet-the-queen-of-katwe-coach-robert-katende-tickets-38121584686. Feel free to bring your family and guests! Benjamin and Elliott with Elliott's 2 oldest kids helping Benjamin settle in at NU. Note that the campaign says 'on behalf of Robert Katende' because funds go directly to the Robert Katende Initiative which allocates all these funds to the living expenses of Phiona & Benjamin to attend NWU. You can find out more about the great work that Robert is doing at this link: robertkatende.org. From a committed atheist who appreciates excellence. May Benjamin and Phiona continue their studies. My best wishes and prayers to you. You guys are awesome , as well as inspiring. Hi Phiona, I am so happy to see you at the team tournament Today. I have watched your movie and so inspired by your story.